So, it was around May 2016 and I got a friend who wanted to buy a computer whose sole purpose was being capable of playing Mortal Kombat X. I pointed him towards a console due to the MKX fiasco on PC, but his insistence and the fact he's a LoL player meant he needed a PC rather than a console, and with the warning that it might be pricier to build the PC, I set off. Original idea would cost 400USD, and was comprised of an AMD FX6300 CPU, 8GB DDR3 RAM, an AMD R7 260X GPU, an ASUS M5A78 motherboard, a 500W EVGA PSU, 1TB HDD and a cheap Sentey case I had laying around. I was not hurried into getting these parts, and some of them were used hardware. Difficulty getting some parts and me getting better deals meant I could score an Intel Core i5-3330 and a GIGABYTE GA-H61M-S1 board for 150USD (when Sandy and Ivy Bridge combos are too overpriced here), as well as a GTX750Ti in lieu of the R7 260X, which for me was a better deal because I was getting a Pitcairn competitor for Bonaire prices. Budget was revised to 500USD because exchange rates. However, my friend was getting increasingly insistent towards the FX 8-CoreThread CPU, reasoning behind it was him being a silly dude who would fall for the "Can You Run It?" requirement ********. That and he then wanted to play more games (Tomb Raider reboot and Rise Of The Tomb Raider, Watch.Dogs), and in 1080p. I stopped him on his tracks, demanding a higher budget, which this time (and for the last), would be 700USD (especially after having problems with a HD7870 that died on me and was destined to this build). Finally, we reached a consensus, and I moved on with the finalized PC, and by that time, it was already August 2016. The 700USD budget was excluding all the fees due to assembly, installation, testing, and the like. What happened to the Core i5 build? I destroyed it with a hammersold it and used the money for the new parts. As a side note, some upgrades were added on February, by means of a new 250GB Western Digital Blue SATA 3 SSD, 8 GB more of RAM (bringing total to 16GB) and a XFX RX480 8GB card. I got paid the fees for installing all that, but he purchased all that under my strict guidance, lest we run into issues due to his stupidity. CPU: AMD FX8320e - Scoring this used, non-OC'd part for 100USD with its box and cooler was a charming surprise. Of course, the heatsink would be disposed of ASAP. One of the loudest, most inefficient pieces of **** I've come across. Only good when paired up with a Sempron 140. 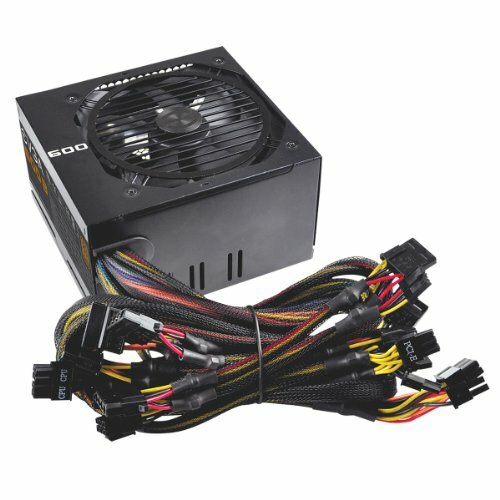 95W TDP in exchange for decreased performance (but still above a FX6300). Of course, Vishera core, Zambezi is not recommended. Bought used because Zen was already a looming rumor at the time and since at least 2015 I was against buying new AMD CPUs. Heatsink: CoolerMaster Hyper T2 - 212 EVO was prohibitive at 60USD, so I played it safe with another cooler half the cost. The T2 left me quite satisfied; it's a pigmy tower cooler with a nice fan, direct-contact heatpipes, and no clearance issues on many cases. Really impressed. 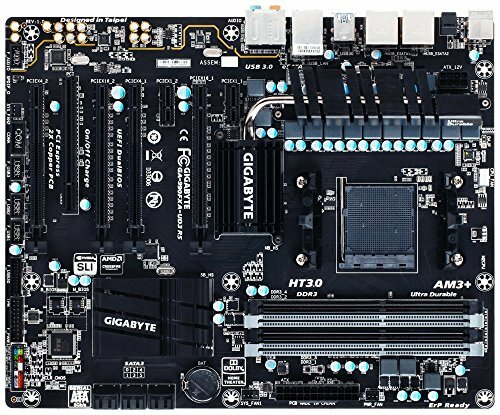 Motherboard: GIGABYTE GA-990FXA-UD3 - 100USD for this motherboard when nowadays its closest successor is being retailed for 200USD. Refurbished by GIGABYTE Argentina, and with warranty. Upsides: CrossFire and SLI support. Dolby sound, tons of USB ports. Thick PCB. No LED ******** (from a time in which even GIGABYTE's packaging was simple). Downsides: Horrid BIOS, RAM will only operate at 1333Mhz on the slots, otherwise it won't be recognized (yes, HyperX is in the QVL...), weak heatsinks, poor SYS_FAN header placement (as well as 8-pin CPU plug placement). But the worst part was Windows 10 driver support: the provided drivers are flawed and are the culprits of many CRITICAL_PROCESS_DIED BSODs. RAM: Kingston HyperX Fury Red 8GB (2x4GB) - New in their blisters, for 50USD both of them. HyperX is my go-to RAM provider most of the time. The Fury sticks look nice, are cheap, do the job, work with almost all motherboards, and if you pick wisely, some models have respectable CL. GPU: Sapphire AMD R9 380 COMPACT ITX - 250USD for this thing, new, sealed. By the time I was buying this part, the RX 480 was not out yet, and if available, only on preorder and with a 500USD price tag. Not the Nitro 4GB, but still enough for now. Powerful (though a downgrade from a R9 280X... Tonga < Tahiti), and ITX because it was the one that was on offer. Other 380s were 25 to 50% more expensive. 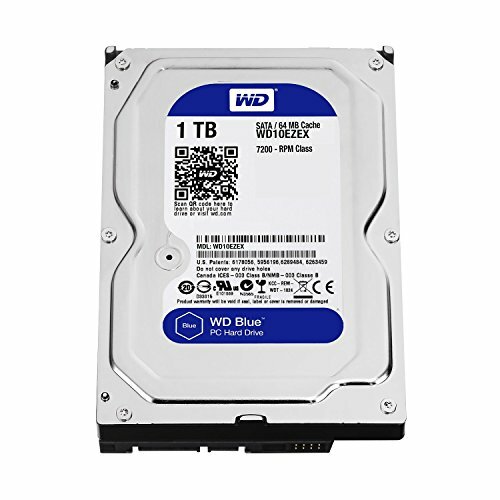 HDD: Western Digital Caviar Blue 1TB 7200rpm 64MB Cache - My go-to drive, nothing else to say. 50 USD. New and sealed. Case: RAIDMAX TIGHERSHARK 366WB (Black/Red) - I was longing for a CoolerMaster COSMOS II, and that fixation trickled down to case choices at the time; I then found out about Raidmax setting up shop here in Argentina, and a flick through its current line-up revealed two things: nice designs on some of the cases, and good prices. Because of the Cosmos II fixation, I grabbed the one case with handles I saw from RAIDMAX; at 50USD, the TIGERSHARK looks ******* beautiful. Yes, there are gripes: sharp edges, some fit and finish in some of the plastics, lack of a manual coupled with unintuitive parts in the case. Other than that, the amount of screws, zipties, provided is to applaud at this price point. Oh, and did I mention it comes with a 120mm fan and a nice smoked acrylic side window? For the price, quite impressed. So there you have it, a build that took time, and forced me not to snap. Sometimes even when a customer is wrong, you are meant to fulfill some expectations. With the January upgrades described above, I can say this build will last for a while, unless of course, Ryzen forces any quicker obsolescence onto the Bulldozer chips. Photos provided as chronological evidence of the build. realy nice build! could due with some better camera shots thought. Thanks, don't worry about that, this one is more of a filler. Check out my other builds and you'll find slightly better pictures. Regards!